Aviation disasters are among some of the most horrific tragedies due to the types of crashes and because of the number of passengers who are sometimes involved. Whether you were seriously injured or you lost a loved one in an aviation disaster involving a private or commercial plane, you may be entitled to compensation. Our primary mission is to assist you and your family. Our attorneys have the experience and skills to fight for your financial recovery. If you have received a serious injury or have lost a loved one in an aviation disaster, please contact us to schedule a consultation at (866) 734-5291. 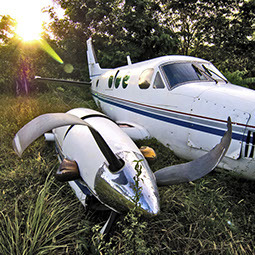 What Should I Do After An Aviation Disaster? Immediately seek first aid or medical attention. Call 911 if someone has not notified emergency personnel and the police already. If someone has been seriously injured, wait until paramedics arrive and do not attempt to move yourself or other passengers unless absolutely necessary. Take note of who is around as they are likely witnesses. Contact an experienced attorney as soon as possible to help in preserving evidence and protecting your rights. Keep copies of all medical records and documents that you are given, including flight tickets, travel itineraries, etc. Avoid giving statements to insurers without proper representation. 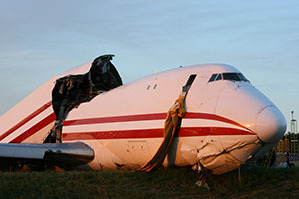 If you or a loved one has been involved in an aviation disaster, there may be multiple parties involved including, but not limited to, the airline, the pilot, the maintenance company and the aircraft manufacturer. If you hire a competent lawyer after your accident, you may be entitled to damages from one or more of those parties, but you should act quickly to ensure your attorney is able to fully investigate the crash scene and preserve evidence that could be useful to your case. Due to the complexity of state and federal regulations, as well as often-complicated corporate ownership structures, bringing a lawsuit against an airline and/or aircraft manufacturer requires the services of a skilled, experienced aviation disaster attorney who has actually tried cases like yours. It is crucial to ensure that your attorney has what it takes to obtain a substantial verdict in an aviation disaster lawsuit. Our attorneys have the skills to win in court. Simon Greenstone’s Ron McCallum is a perfect example. Mr. McCallum’s extensive aviation and trial lawyer background have equipped him for these types of cases. He is a commercial and corporate pilot and flight instructor, and has flown over forty-eight separate models of fixed and rotary wing aircraft both nationally and internationally. Mr. McCallum is intimately familiar with FAA regulations, presents seminars regarding the same and is an Aircraft Owners and Pilots Association Panel Attorney. Mr. McCallum and his team are currently litigating aviation disaster cases.